Fruity Fridays…The Coconut…Is it a fruit, a nut or a seed? | Retired? No one told me! Fruity Fridays…The Coconut…Is it a fruit, a nut or a seed? The Coconut …Is it a fruit? Welcome to Fruity Fridays where I show case a different fruit each week. Which brings me back to the Coconut …Well, it has a hard outer shell-like a nut, doesn’t it? Don’t you think my Coconut tree looks magnificent? Botanically it is known as a one-seeded drupe otherwise known as a dry drupe. Where does that leave us? With a fruit, a nut and a seed? The name itself infers it is a nut….after all a nut can be defined as a one-seeded fruit. But true nuts do not open on maturity and release their seeds… the nut has to decay and then it releases its seeds and is dispersed by an animal either in its faeces or just by being dropped on the ground. It has 3 layers the first is typically green …This layer is called exocarp then you get the fibrous husk( mesocarp) this surrounds the woody layer ( endocarp) which surrounds the seed…. which is what you get in the supermarkets. The coconut palm is not a tree as it has no bark, no branches, or secondary growth. It is a woody perennial known as monocotyledons as the trunk is the stem. The coconut is known as the Tree of Life as every bit of the tree is and can be used for drinks, fibre, food, fuel, musical instruments, cooking utensils and so much more. it is also claimed although not formally recorded that during World War 11 and the Vietnam war when intravenous (IV) solution was in short supply, doctors used coconut water as a substitute for IV solutions. If the shell of the coconut has not been cracked, the coconut water inside is usually sterile – that is, free of bacteria and the like. So technically it could be injected safely into people, to replace fluid loss? It might, however, be said it might just be better just to drink it to replace blood plasma. So do we now know what the coconut is? A fruit, nut or seed? Mangoes, peaches and almonds are in the same drupe family as the coconut. Although the coconut is a dry drupe and peaches and mango are fleshy drupes. Well, I clearly am not a botanical expert but in my world but I have always thought of those as fruits so the coconut to me is a cross between a fruit and a nut which we eat the flesh off and drink the lovely juice of a huge seed. Just in case you missed it…Here is my post on how to make your own coconut oil... Which would make a lovely present. If you just want to make something for yourself and your family then these macaroons are easy to make and delicious. What to make when you have egg whites left over from making Carbonara? I have not made coconut macaroons for years. Next time for a little more colour I will lightly toast my coconut and maybe melt some chocolate and drizzle over them. 3 cups of desiccated coconut or fresh coconut if you have it. Whisk the egg whites, sugar, vanilla essence and salt until the mix is soft and frothy. Fold in the coconut and put spoonfuls on a lined baking tray. Cook in a preheated oven on 350F or 175 C for 15-20 minutes. Remove from oven and cool on a baking tray. This recipe made about 12 depending on the size of your spoon. This entry was posted in Coconuts, Thailand, Uncategorized and tagged Coconut juice, drupe, Endocarp, Exocarp, Fruit or nut, mesocarp, Tree of Life on July 16, 2017 by CarolCooks2. I see I replied to an earlier post, but see more info here. Yes, I like the idea of a coconut as a cross between a fruit and a nut. Makes sense to me! Thank you, Carol. Inspiration, as always. I remember, as a child, my first drink of coconut ‘milk’ from the nut. I thought I’d gone to heaven. There was something so utterly alive about that juice! Science changes its mind so often, yet expects us to be faithful because it’s science! I much prefer (and share) your idea of moderation. 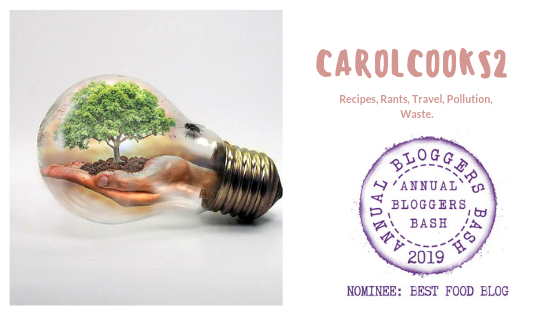 Thank you, Carol; and for having a brilliant and hard-working Blog. My pleasure. I think that every time I open one of your lovely pieces. Fruity Fridays…This week I have decided to reblog this post the reason is twofold 1. I have only just got my laptop back and working and 2…Did you see the headlines ??? Coconut oil is “pure poison,” says Harvard professor… Good fats come mainly from vegetables, nuts, seeds, and fish. Healthy fats are liquid at room temperature, not solid….. The plot thickens my coconut oil is liquid? I know coconuts are high in saturated fats but…MODERATION… My health has improved since I have incorporated coconut oil etc in my diet although depending on what I am making I may use olive oil or another healthy oil again it is about balance and moderation… Some research states that the saturated fat from the coconut may react differently to other saturated fats in our bodies…..Why? Because most of the saturated fats in coconut are medium chain fatty acids whose properties and metabolism are different from those of animal origin. Medium chain fatty acids do not undergo degradation and re-esterification processes and are directly used in the body to produce energy. They are not as ‘bad for health’ as other saturated fats. What are your thoughts ???? Interesting post, Carol, Coconut is very topical and popular at the moment. I love coconuts and this post. Great post on coconut ! Thanks for sharing such an informative post !! Beautiful peace of information and those macaroons, look awesome. I have a very interesting recp with coconut water, shall share it soon. Pingback: Fruity Fridays…The Coconut…Is it a fruit, a nut or a seed? | Retired? No one told me! Pingback: Healthy Cooking with Coconut Flour. | Retired? No one told me! Yes, Carol, your tree is magnificent – and I’d love to drink the nectar from the straw you have pictured. Thanks for the botanical info. I like to know things too! What a useful load of information. I really had no idea about coconuts. It is all three, depending on exactly what a person is talking about. The drupe is a fruit. The brown ‘hairy’ coconuts sold in the store are nuts. Shredded coconut is from the flesh of the seed. Botanically, a drupe is a fruit. In the case of a coconut, it is any of the three; fruit, nut, and seed. It depends on precisely what is being referred to. The whole coconuts sold in stores in the US (and presumably, the UK) is a nut. However, what falls from the tree is a fruit. That is an interesting case of being more than one.